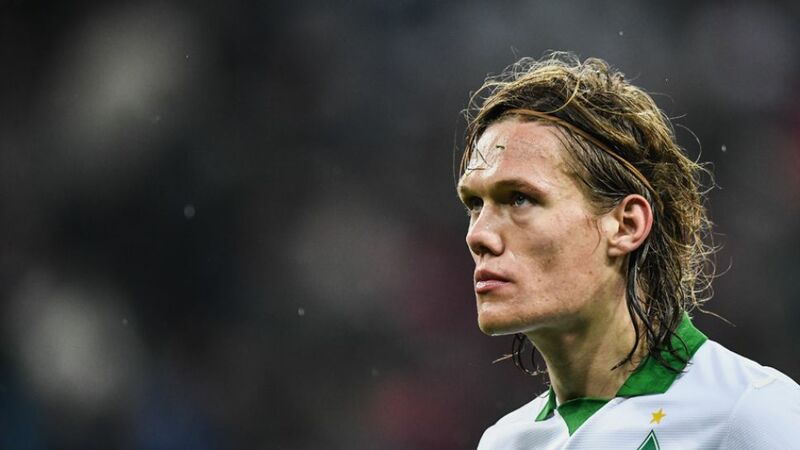 New Borussia Mönchengladbach defender Jannik Vestergaard is determined to prove himself at the Foals following his summer move from Bundesliga rivals SV Werder Bremen. In this exclusive interview with bundesliga.com, Vestergaard, who becomes the 17th Dane to don Gladbach's colours, discusses his first few days at the club, a potential partnership with international team-mate Andreas Christensen and his objectives for the season. "Everyone gets along well with each other here and it's a very close-knit group." bundesliga.com: Jannik Vestergaard, you have been at Gladbach for a few days now. What were your first impressions? Jannik Vestergaard: I already know a few of the lads. That has made what was already a problem-free period of adaptation at Gladbach even easier and has helped me learn the unwritten rules of the dressing room quicker than I would have done otherwise (laughs). For example, I know Jonas Hofmann and Tobias Strobl from the TSG 1899 Hoffenheim youth team. And I've already played a lot with my compatriot Andreas Christensen in the Denmark U-21s and more recently in the senior team. Overall, my impression has been that everyone gets along well with each other here and that we're a very nice, very close-knit group. And in terms of our football: the first time you're out on the pitch with the boys you can tell straight away the quality the team has. Everyone can play here. Vestergaard: That's right. My cousin Mika will be in the U-15s this season. It's nice to have some of the family so close by. bundesliga.com: Before your transfer were you aware of the long tradition of Danish players at Gladbach, such as Ulrik le Fevre, Henning Jensen, Allan Simonsen and Andreas Christensen? Vestergaard: Gladbach are very popular in Denmark, especially as so many Danes have been successful here. Denmark isn't a very big country, which is why Danes are even more proud of compatriots who are successful on an international stage, regardless of whether they're footballers, designers, musicians or actors. "I'd like to find out if I can keep up at this level." bundesliga.com: So you would have moved to Gladbach even if Christensen had not already there? Vestergaard: Absolutely! Borussia is a club that has been superbly run for a number of years. They have a very young team that plays great football. I'd like to find out if I can keep up at this level and make the next step in my development. The fact that I can play alongside Andreas is a bonus. bundesliga.com: What do you think Gladbach can achieve? Vestergaard: Borussia started the season very badly last term but it turned into a very good year. That shows that you should wait a couple of matchdays before making any predictions. I'm certainly not going to say we need to finish in a certain league position right now. We'll have a lot of games. If we can produce good football consistently in all three competitions – which is a challenge because it's a huge strain on your body and mind – then that would be great.